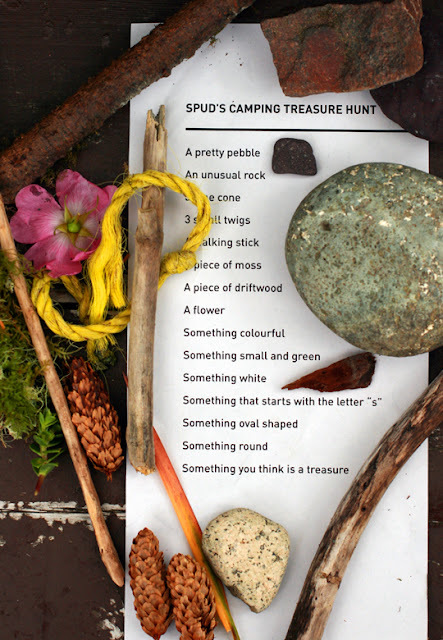 Before setting off on our last camping trip we made up a list of things for Spud to find while we wandered around the beach and on the trails. We tried to keep a lot of the items listed open to (his) interpretation. He often asked for clarification but I would remind him that there was no right answer, that it was up to him to decide if the found item met the criteria. He pretty quickly got used to the idea and came up with his own, adorable, justifications for choosing particular items. So fun, for everyone. 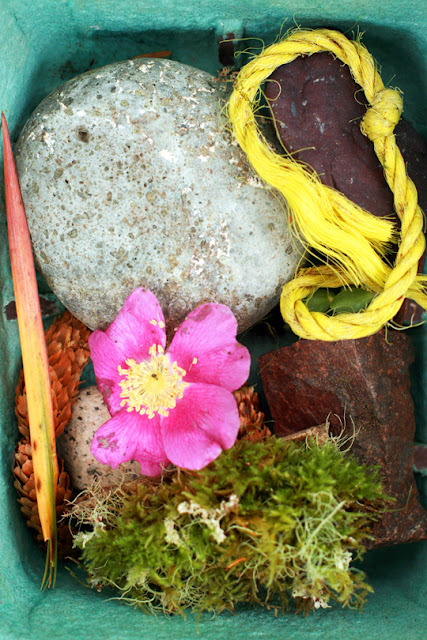 Back at camp he asked me to take a picture of his findings so I asked him to make up a composition for the camera.